Forza Horizon 4 is off to a strong start with regards to sales. To begin with, last week’s United Kingdom chart by GfK Chart-Track (we’ve listed the Top 10 below, by the way) sees Forza Horizon 4 perform better than 2016’s Forza Horizon 3, with Xbox UK director Harvey Eagle releasing this statement to GamesIndustry. We’re thrilled that Forza Horizon 4 has been so well received by gamers across the UK. 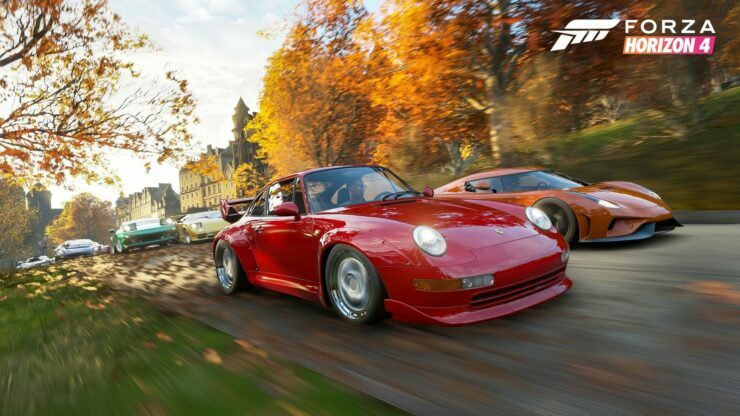 Set in beautiful, historic Britain and made by British studio Playground Games, Forza Horizon 4 is the fastest-ever selling game of the Forza Horizon series in the UK according to the latest GfK data. We’re also seeing a huge uplift in Xbox Game Pass subscriptions and engagement. These achievements are a testament to the craft and ambition of the latest release of the Forza franchise, the world’s biggest racing IP. Globally, though, the sales could be much higher. 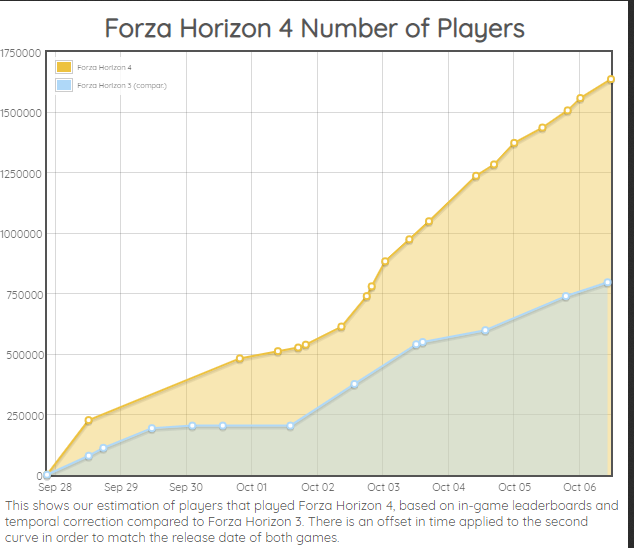 According to the tracking website Kudos Prime, the game’s leaderboards show 1.63 million players in Forza Horizon 4, a 114% increase over the previous game in the same timeframe since launch (nine days). Beyond Playground’s beautiful (and highly realistic, at least with regards to visuals) racing game, Assassin’s Creed Odyssey ranks second in last week’s UK chart, just above Forza Horizon 4. However, it registers a 25% decrease in sales compared to the debut of Assassin’s Creed Origins; at the same time, it’s worth noting that Odyssey released much earlier in the season than Origins and download sales could be even higher than they were last year, following the continuous migration towards digital libraries. As expected, the first spot is once again secured by FIFA 19 – at least until Call of Duty: Black Ops IIII drops next week.